equip & empower people to facilitate encounters with Jesus. Overflow Leadership designed to equip people in leadership skill, not only to assist in leading at Overflow Church, but also to lead in life. It is our desire to give practical tools and raise up leaders within our body of believers to impact our communities. These leaders help champion the vision of Overflow Church in helping others encounter the reality of Jesus. We have established 5 areas of expectation for those that are enrolled in Overflow Leadership. These are areas of intended commitment that we are asking of those involved in our leadership team. 1. Enthusiasm: Be ambassadors of Overflow emotionally and socially, and also be committed to the growth of our church: We ask that Overflow leaders miss no more than 1 church service per 6 weeks. 2. Service: Overflow leaders are asked to serve/volunteer in at least one area at Overflow at least once per month. 5. Character: Represent Jesus and his kingdom in a reputable way.  To sign up for Overflow Leadership fill out the application here.